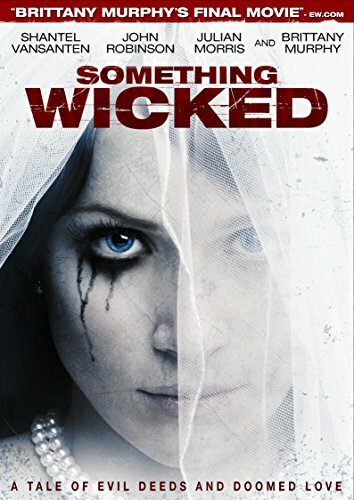 ARC Entertainment will be releasing Something Wicked on DVD, VOD and Digital Platforms on March 17, 2015. Synopsis: Inspired by true events, a young couple seeks to re-build their lives after a disastrous car crash that kills her parents. But secrets from their past threated to disrupt their budding relationship. Christine (Shantel VanSanten) is stalked by a creepy, masked stranger, while James (John Robinson) experiences freakish encounters that nearly kill him. Christine's sister-in-law, Susan (Brittany Murphy), a psychiatrist who observes the couple's deteriorating relationship, sets out to determine what sinister forces are driving the madness. As she digs for answers, she finds out some things are best left unknown.